I’m extremely excited for this upcoming drama. I’m bouncing off the walls! My heart is literally racing waiting for Ex-Girlfriend club to be finally air. Everything seems perfect for this production. From the casts side, storyline, production team, and (probably) soundtrack. I knew it’s not time yet to decide whether the soundtrack will be a delightful one or not, but given the fact that the teasers have good and catchy music, I think the soundtrack won’t be too far from it, right? I hope Ex-Girlfriend Club won’t disappoint their eager potential viewers. The story centered around a famous webtoon writer named Bang Myung Soo (Byun Yo Han) that write webtoon based on his past relationship with all his ex-girlfriends. Meanwhile, Kim Soo Jin (Song Ji Hyo) is a producer who is assigned to make his webtoon into a movie. It’s Song Ji Hyo’s comeback to the small screen! As a die-hard Running Man’s fans, I must be excited, right? Who know if there will be any fellow-Running Man members’ surprise cameo in the show? – like Gary’s appearance at Emergency Couple. However, it is not the only reason why I’m excited with this show. The story itself is quite tempting. However, I see a similarity between this to Song Ji Hyo’s previous drama, Emergency Couple. Just like Emergency Couple’s storyline – which emphasized an ex-lover’s (or in Emergency Couple’s case is husband & wife) painful rendezvous after parting for years – Ex-Girlfriend club also seems to highlight the funny and forced reunion between two ex-lovers. But, if Emergency Couple was set in medical world, Ex-Girlfriend club will be set in movie world, which make it more exciting to watch. Since it is a tvN’s production, I hope the production team will give a lot of funny and modern vibe into the show because tvN’s dramas always have something unique and only one of its kind that make them stand out compared to other broadcasting channel’s dramas. I’m satisfied with the casts of the show. 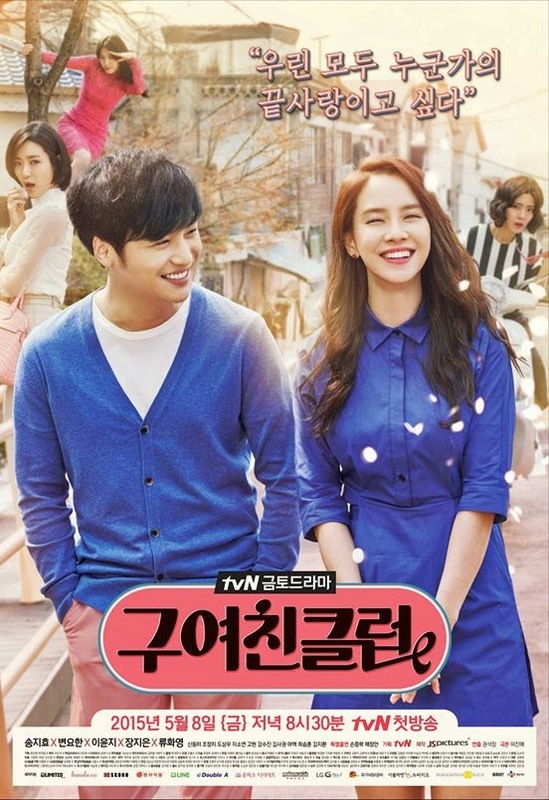 The collaboration between the former gossip boy and pretty employee in Misaeng Byun Yo Han with the former hardworking doctor and caring ex-wife in Emergency Couple Song Ji Hyo is another reason why this drama is worth watching. I must salute Byun Yo Han for this because he was able to earn himself a leading role after just played in one drama. I hope he will show the viewers that he deserved that leading man spot by giving such a wonderful performance, like what he did in Misaeng. Byun Yo Han has the face and the image to be a webtoon writer. His face is somehow gives a smart and sneaky impression. As for the female lead, I’m so happy for Song Ji Hyo on her comeback into kdramaland. Her character also seems promising. From the teaser and storyline, I can say that Song Ji Hyo fit the role perfectly. It seems to me that Kim Soo Jin (Song Ji Hyo’s role) will have a quite similar temper and personality to Ji Hyo. After saw the poster of the drama, I knew that Kim Soo Jin is somewhat a tough character who looks unafraid to do what she wants no matter what it takes. However, if my prediction of this character is right, this character will have a quite alike quality to Song Ji Hyo’s previous character, Oh Jin Hee in Emergency Couple. 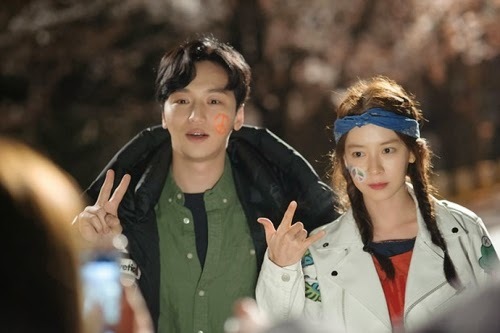 I hope Ji Hyo will bring something different and unique to this character and find her perfect chemistry with Byun Yo Han. The other characters (Myung Soo’s ex-girlfriend) are fine for me. I’m looking forward to see Lee Yoon Ji’s character. Her character seems interesting and (hopefully) will be a strong component to Ji Hyo’s character. Strong fight and competition always becomes an interesting thing to watch in one production. From the production team side, honestly, I never watch any of both director and scriptwriter’s works before. But from what I know, the director, Kwon Seok Jang, has brought a number of quite successful k-dramas, including Miss Korea, My Princess, and Pasta. So, hopefully he will repeat his success in this one.